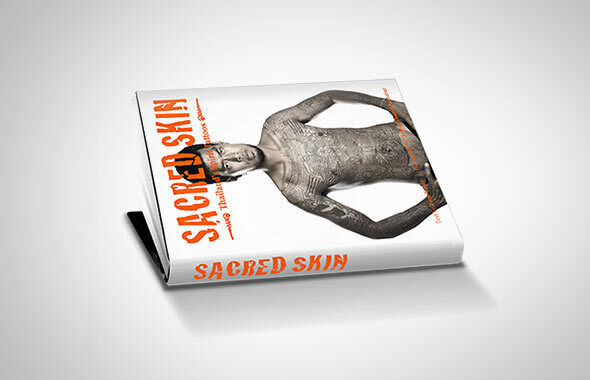 My article in this month’s InDepth Magazine on Thailand’s Sacred Tattoos with images by Aroon Thaewchatturat, co-author and photographer of Sacred Skin – Thailand’s Spirit Tattoos, the first English language book to look at Sak Yant. On a sultry Monday morning, Ajarn Neng Onnut’s studio, known locally as a samnak, which sits tucked away in a quiet back street on the eastern outskirts Bangkok, is packed. Monday is the most auspicious day for women to see a tattoo master and to receive a sak yant, a sacred tattoo. 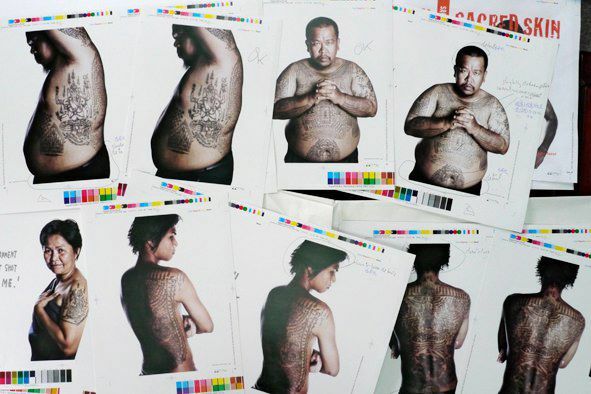 The visitors believe that the tattoos will afford them protection from accidents or enemies, increase their attractiveness, help them get rich, or simply calm their troubled minds. For Thai men, this tradition goes back hundreds of years. For women, it’s a sign of changing times…. Read the full story here….